Blog Got Answers to These 10 Visitor Management Questions? Got Answers to These 10 Visitor Management Questions? Do you collect data about who visits your office? If not, you could be missing out on information that could help you understand what happens in your company on a daily basis. Here are 10 important questions you should try to answer. 1. Which company visits my office the most? Who are your partners and allies in business? Which clients are taking up most of your time? Tracking these visits can teach you a lot about returns on time investment (ROTI) you might not otherwise see. 2. How many visitors do I get, on average, each week? Answering this question can inform you about the time your front office staff spends greeting and processing visitors. Over time, you can pair this data with sales and marketing initiatives to see what efforts are most effective at bringing customers through your door. 3. How many visitors are from customers and how many are from suppliers? Differentiate between visitors who are bringing in supplies and those who are bringing in business. Are those levels proportionate? Or does your outgo exceed your income? 4. Which of my employees gets the most visitors? Sales reps who see the most traffic may have secrets to share–depending on how their visitors then interact with your company. Are they strong prospects that result in a close? Or does a revolving-door trend actually result in less business in the long run? 5. How many visitors sign out before leaving? Noticing when visitors leave is just as important as greeting them when they come in. Their sign-out times let you know how much employee time they are taking, and it’s a great chance to gauge their satisfaction immediately after their visit with a quick inquiry box on the sign-out sheet. 6. Am I making the most of my receptionist’s capabilities? A survey we conducted late last year revealed that 66% of receptionists and front office staff agree that “companies often do not take full advantage of the skills their receptionists have.” How might they channel some of those skills to better track and utilize visitor data? 7. What additional tasks can my front office team handle that they currently don’t do? Front office managers and receptionists also told us that data entry is the task they are most commonly asked to help with. If your visitor data were tracked more intentionally, what else might front office staff accomplish? Broader social media campaigns? A more regular, optimized email newsletter? 8. Can I tell who is still in the building in case of emergency? Emergency situations catch everyone by surprise. Keeping a sign-out sheet can be particularly handy when you need to know who might still be in the building so you can double-check that everyone is safe. 9. How secure is my information? Especially when conducting interviews, you may want a non-disclosure agreement (NDA) signed as a matter of course. Make this step part of your visitor sign-in process to ensure your information is protected from the start. 10. Are visitors getting the proper badges? 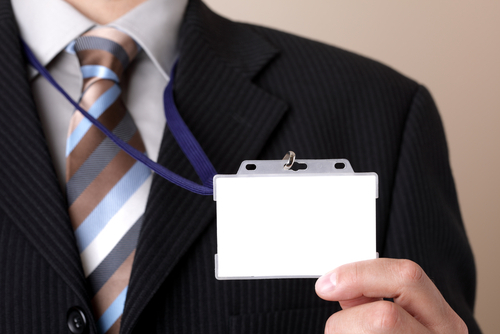 Badges identify visitors at a glance, so everyone in the building can be aware of who’s there. A badge can also be useful to specify why someone is in the building. For example, are they making a delivery? Having an interview? Holding a meeting? A visitor management system can help you answer all of these questions and more. Start your free trial of The iPad Receptionist today.